The worrying IP infringement bill thankfully failed to sneak in ahead of the Senate adjournment for recess. The change in plans should delight some of the bill's critics, at least, who expressed concern that the legislation was moving forward quickly. The Senate Judiciary Committee now won't be considering the dangerously flawed Combating Online Infringement and Counterfeits Act (COICA) bill until after the midterm elections, at least. The bill will be back soon enough though. 19 members of the Senate Judiciary unanimously voted to move forward with the Combating Online Infringement and Counterfeits Act (COICA) this week, despite a letter sent to them by a large number of law professors explaining the unconstitutionality of COICA, and earlier protests by 96 Internet engineers, and Tim Berners-Lee, the father of the Web. However t doesn't appear it will pass through the full Senate, at least for now. COICA targets piracy, but it is very broad in its definition of what that means. Copyright infringement could include not just hosting torrents, downloads or streams of copyrighted materials, but also providing a link or aggregated links to other sites or Internet resources for obtaining access to such copies. In other words, as defined, it could be interpreted that a news site that linked to The Pirate Bay or other BitTorrent site would be in violation. COICA would empower the attorney general to be able to get court orders to blacklist sites out of the DNS (Domain Name Service) system, meaning you wouldn't be able to type in their name and reach them, on the Web. Naturally, organizations such as the MPAA and RIAA love the idea. Senator Ron Wyden (D-OR) has announced that he was going to take the necessary steps to stop [COICA] from passing the United States Senate. He added: It seems to me that online copyright infringement is a legitimate problem, but it seems to me that COICA as written is the wrong medicine. Deploying this statute to combat online copyright infringement seems almost like using a bunker-busting cluster bomb when what you really need is a precision-guided missile. The collateral damage of this statute could be American innovation, American jobs, and a secure Internet. The Electronic Frontier Foundation (EFF) said: Blacklisting entire sites out of the domain name system is a reckless scheme that will undermine global Internet infrastructure and censor legitimate online speech. As noted, the bill passed out of the committee unanamously, which translates to having full bipartisan support. That's pretty unusual in these contentious political times, and points to the support of major industry organizations such as the previously mentioned RIAA and MPAA. While probably dead for this session due to Ron Wyden's opposition, it might show up again in the next. 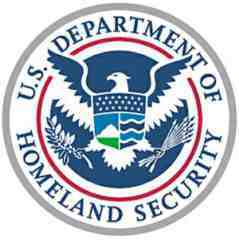 The Homeland Security Department's customs enforcement division has gone on a Web site shutdown spree. To date, 82 domains have been seized after being accused of selling counterfeit goods, with products sold ranging from music, DVD box sets and software to clothing and sporting goods. Others linked to copyright-infringing file-sharing materials, at least one site was a Google-like search engine, causing alarm among web freedom advocates who worry the move steps over the line into censorship. All the shut sites are now displaying a Homeland Security warning that copyright infringers can face up to five years in prison. According to a report at TorrentFreak, the search engine that was shut down -- Torrent-Finder.com -- neither hosted copyrighted material nor directly linked to places where it could be found. Instead, the site opened new windows to sites that did link to file-sharing materials. Homeland Security's ability to shut down sites without a court order evidently comes from the Digital Millennium Copyright Act, a Clinton-era law that allows Web sites to be closed on the basis of a copyright complaint. Critics have long assailed the DMCA for being too broad, as complainants don't need to prove copyright infringement before a site can be taken down. Earlier this week, Homeland Security shut down a popular hip-hop music site, RapGodfathers.com, which had nearly 150,000 members. The site claims it is compliant with copyright laws, as it doesn't host copyrighted materials. However, its users posted links to file-hosting services such as Rapidshare and Megaupload, where copyrighted material may have been shared. These domains are now the property of Homeland Security, writes Gareth Halfacree at Thinq.co.uk, And there's no indication that their original owners will ever be able to get them back.